After a 1 week break from workouts, I finally felt like I had enough energy to get back into exercise yesterday. My body was literally craving a run! It was also a good excuse to take a much needed break from unpacking. For some pre-run fuel, I tried out a Vega snack bar that I had in my purse since…well, that would be anyone’s guess. 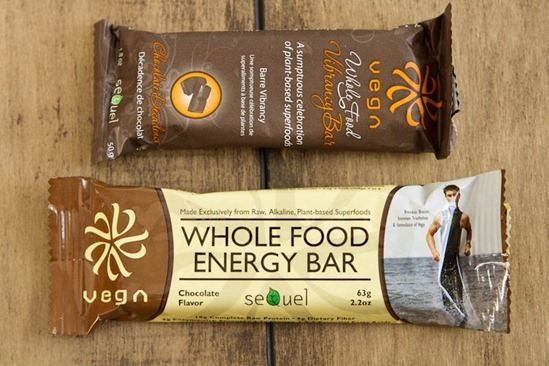 I really enjoyed the Vega Vibrancy Chocolate Bar (top), but I didn’t care much for the chocolate Whole Food Energy bar. Somehow I managed to polish it off over the past week though. This is the Vega Chocolate Vibrancy Bar below. It was quite good with a nice chocolate flavour and sprouted buckwheat groats for crunch. It tasted like dessert which is always a plus in my books. I headed over to the beautiful Lakeshore for my run. This was my first official training run in Oakville. The only other time I think I’ve run in Oakville was the Oakville Labour Day 10km race that I ran in 2010. It’s such a gorgeous trail, I felt like I was on vacation. Do I have any readers who run around Lakeshore? I was thinking about starting up a running group at some point. Let me know if that would interest any of you! I was quite delighted to see a bunch of long staircases throughout my run. That sounds so sick and twisted, I know. 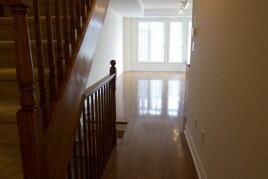 Back in 2007-2008 when we lived in a condo in Toronto, I used to walk 28 flights of stairs every day (it took me about 4 minutes if I remember correctly) as a way to sneak in exercise since my job was so sedentary. I’m a big fan of stairs and will walk them whenever I get a chance. This one just screams run up me! This little guy may seem innocent, but he tried to chase me when I got too close. I guess I’m going to have to start getting back into a consistent training mode. I haven’t run over 6km in a dog’s age. For my post-run breakfast, I had a rather GREEN bowl of vegan overnight oats. Much like Green Monsters, you don’t taste the greens in vegan overnight oats (when made with a banana or other sweetener). A couple years ago, a few blog readers told me to try combining a Green Monster and vegan overnight oats. I thought they were crazy (in a good way, obviously) and finally got the nerve to try it…oh, two years later! All you do is blend a Green Monster before bed and pour it into a bowl of rolled oats and stir it all up. In the morning you will have a Green Monster/vegan overnight oat hybrid waiting for you in the fridge. I’ve made it with spinach and also with kale and both were delicious. I’m telling you, I was kicking myself for waiting so long to try it out! Just trust me on this one. Did the Green Monster ever steer you wrong? Now you can get in a serving of greens (without tasting it!) in your morning bowl of vegan overnight oats. Feel free to add any toppings as you wish: fruit, nut butter, granola, coconut, etc. Inspired by: lovely blog readers. Also, check out Britt’s and Emilia’s versions too. In a blender, blend together the spinach, banana, chia seeds, and almond milk until smooth. In a cereal bowl, add the oats and then pour the smoothie on top. Stir well until combined. Place in fridge (uncovered is fine) overnight. Give it a good stir in the morning and then enjoy it cold, straight from the fridge. Add desired toppings as you wish such as nut butter, granola, coconut, fruit, etc. That first picture is STUNNING! I mean they all are but wow! Gorgeous girlie! Thanks! it was taken before my 10k race in the September 2010. can’t wait until everything is in bloom. I used to run on that trail all the time! I also did intervals on those stairs! 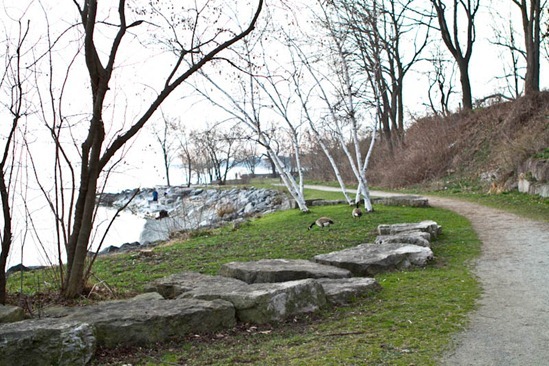 Congrats on the move to Oakville, there are so many pretty places to run! Wow, your new surroundings look lovely – and very work-out-inspiring at that! As for the green monster oats, I might actually try them coming week. I have been trying some of your other vegan overnight oats past week and they were simply delicious. I guess I could make green oats coming week’s challenge. Goodluck, I hope you like them. Let me know what you think! OMG Ange if I was there, I’d be ALL over these runs with you!! I love the Lakeshore area, especially the view from the bridge over the river. 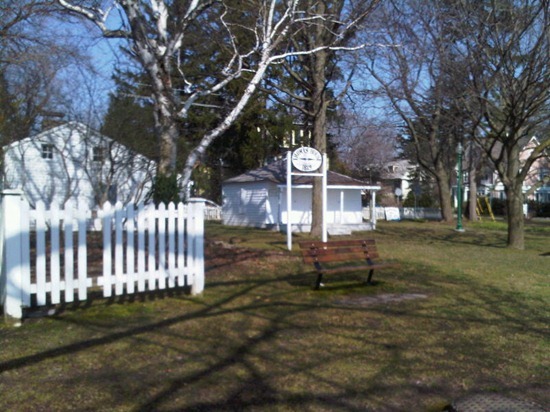 Maybe we should get out for a run next time I come to visit… as well as the usual other Oakville activities of course! ;) Looks like you’re definitely enjoying your new surroundings! I wish you were here too! I’d definitely be up for a run when you come to visit…let’s plan a date asap. Those pictures.. wow! I’m craving a run now! And I can’t wait to try those overnight oats! Can’t believe I haven’t thought of that before! I tried your overnight oats for the first time and I just wanted to thank you!! I made the basic oats and now I’m looking forward to trying different flavors- I see green monster overnight oats in my future:) Thank you for all that you do, Angela! You are inspiring! 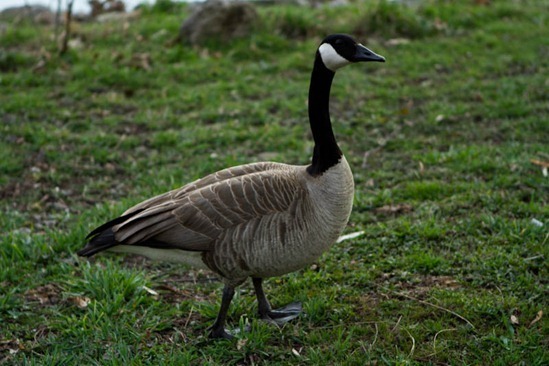 Gotta watch out for those geese! 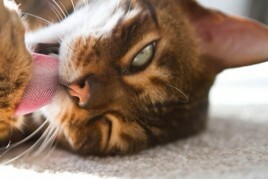 Cute from afar, vicious from up close, haha! :) Have a great day, Angela! i have been following your blog for a very long time now..lets say under a year and you have helped me change my eating especially vegan meals tremendously…i am not vegan but i widely enjoy your recipes, i have even some of your recipes with a twist and creativity..
on that note…i have been hooked on kale and spinach..my iron levels have gone up my hair and skin have changed and yes i do have a glow thanks to you..
i am gonna try the green monster oatmeal…have you tried the green monster pancake..with almond flour…i made it last weekend..it was so yummy…hope that inpires you to make one..
Hey Cassie, That means so much to me to…truly. Thank you not only for reading, but for sharing my blog with others. Take care! I love the idea of green overnight oats, I can’t wait to try it!!! I think it should be covered in the fridge because that will slow down the oxidation process and you will get more from the greens that way. That’s a great point, I hadn’t thought of that! I can’t wait to try the oats. Oh my goodness. They look lovely. What a beautiful place to run! I’m jealous, for sure. My knee has been giving me problems, so this morning I’m hitting the bike instead… alas. If you start a running group I’m in! I usually run on the trails in my ‘hood here in Oakville. I love how you share photos from your run. 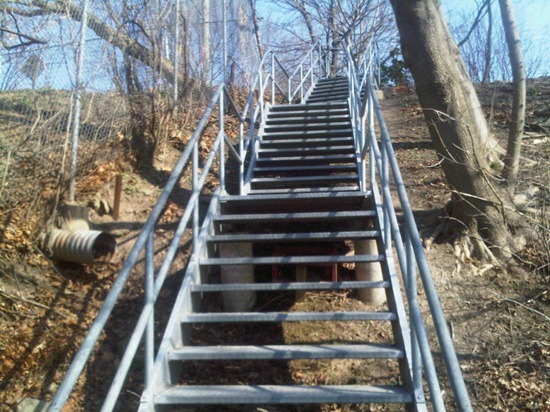 I almost feel like I’m the one who just went for a run–and looking at all those stairs…whew! That will make for some awesome intervals. Nothing like working out in the great out of doors. So much better than a treadmill any day. As I read this I am drinking a green smoothie… I may go dump a handful of oats in it! That is such a smart idea! I like getting greens in, in the morning. Perfect way to do it! Looks like a beautiful run along the lake. 1–could I use flax instead of the chia? 2–will quick cooking oats work too? Thank you! Love your website and recipes. I am gluten-free so I really love those recipes! I *think* I’ve heard some readers make VOO with GROUND flax (not the whole seeds), but you might need to use more since chia seeds soak up a lot more liquid than flax (or just reduce the almond milk). I’m not sure about instant oats. If I try it, I will def. blog about it. My guess is that they wouldn’t soak up as much milk, but Im not sure. maybe other readers can add their advice if they have tried out flax/instant oats! Kind of along these lines…do steel cut oats work in place of regular oats? I tried this with steel cut oats. They stay very chewy the next day. Not bad, just takes a little getting used to. I’ll probably switch to rolled oats though once this container of oats is finished. I love the idea of overnight oats + green smoothie. I can’t wait to start making more overnight oats now that it’s warm out and I crave a cold and refreshing breakfast. Good luck with the upcoming races!! I have yet to try green monster overnight oats..I’m sure they’re delish! Have you tried the new Vega bars? The Chocolate Coconut Recovery Bar is amazing!! No I haven’t, but I need to get on that :) I hear they are good! How’d you like the hike? I bet you weren’t as terrified as I was! I can’t wait to do it again some day. it was totally invigorating! We started late (5:45) after work so we actually only made it about 5-10 minutes from the top when the sun set and we booked it back down afraid of getting stuck up there in the dark but it was still amazing. I would love to do it again or some of the other ones! Haha, those oats look like guacamole! Thank you Jan, that is so kind of you to say! I’m so happy to read about all the wonderful benefits you’ve experienced from your diet. Glad to hear that you live in Oakville too. Funny you mentioned about the paddle board because Eric and I were just talking about that the other day. Sounds like a killer workout! Do you just enter the water anywhere? Your morning run is very inspiring. have you shopped at Organic Garage yet on Kerr st? ps. I’m having a Potluck Party – it would be great if you could come by and share one of your fantastic recipes. so he banana is key to covering up the taste… made a green monster yesterday with too much spinach and not enough sweetness and could barely choke it down. But I’m not giving up! The recipes from your blog, it’s been making this transition so much easier! Thank you! thank you Jessica, Im glad to hear that! It took me a while to get the courage to make green monsters, it may take me some time to wrap my head around a green monster overnight oats creation! But you never disappoint, so I’m sure it’s great! I love the Vibrancy bars. The cheapest place I have been able to find them is in the organic section of Loblaws in Port Credit. They are I think if memory serves 2.89 per bar and most places they are in the 3.30 and up range. The scenery is so gorgeous on your running path! I love moving to a new area and discovering all the new running paths, trails, routes, and finding my “perfect path” for runs…if nothing else, it lends new spring into my step and new excitement about running. Hope you are loving it! Running club would be such a fun idea, too! I love stairs too! In fact, a stair race is on my fitness bucket list. Probably Bop To The Top in Indianapolis, Indiana or maybe on in Chicago. OH MY GOODNESS…you’re RIGHT by my grandparents house!! I thought it looked familiar and you confirmed it as soon as you showed those stairs haha. That seriously just made me SO excited. Whenever I’m there, I can’t help but go for a walk or run (if I have the appropriate attire). I would hate to see my grandparents ever sell their house; they’re right on the lake and it’s seriously like a vacation just going to their place. Wow how lucky are they to live on Lakeshore! The houses are so fun to look at and dream about who lives in them. Well, now I know…haha. jk. It would be fun to meet for sure…let me know when you are in the area! Hi Angela! I love running at the lakeshore! Would love to be part of a running group too. I’m training for some 10K race at the end of the summer. Are you doing Around the Bay this weekend? Hey Jenny, Nice to hear from you! I will add you to the list. btw- I heard the oakville market is moving to Whole Foods parking lot? Will u be there this year? No, I don’t think we’ll be returning to the Oakville market. We do the Georgetown Market on Saturdays and it seems to be buisier! Ooh- I’ve got to try that bar!! What beautiful views along your run- I’m sure that makes you never want to stop! I’m in Burlington so our long runs take us into Oakville which I love. You will soon see me slogging through a 36km run along Lakeshore. At least the sights keep me distracted. I am totally going to make the green monster overnight oats! It will be perfect before my workout tomorrow! Have a great day! I have recently discovered “KIND” bars. They are awesome and vegan. Coconut almond is my favorite. They have it a whole foods and the bulk barn. Lots of great stores downtown Oakville as well. I don’t know if I’ve tried one yet, but now that I hear they are good I will next time I’m looking for a quick snack. I’d love it if you wanted to do another 30 day challenge like you did for the Abs Workout to build up on running. My mom, who is 55 years old, signed up for a half marathon and I’m joining her without a lot of running experience under my belt. I’ve been doing what I can but your page has always been my best source of motivation. Thank you Angela! I drink a green monster every morning and I am addicted (thanks to you :) I still need to try some overnight oat recipes…maybe your post is a sign! I add 3 handfuls of spinach and 2 handfuls of Kale to my monster. After reading I’m beginning to think that’s a little much…hmmmm. It’s like munching on my back yard! That run looks GORGEOUS!! Congrats on the move too, looks like a fantastic area to live! Oh, I can’t wait to have my green monster this morning! Running a bit behind schedule! Looks like a beautiful place to run..that’s awesome! Do you ever notice more digestion issues, i.e. : gas, if you mix green monsters and oats?? Thanks! I haven’t noticed any problems when mixing the two thankfully. My body seems to handle soaked oats very well. 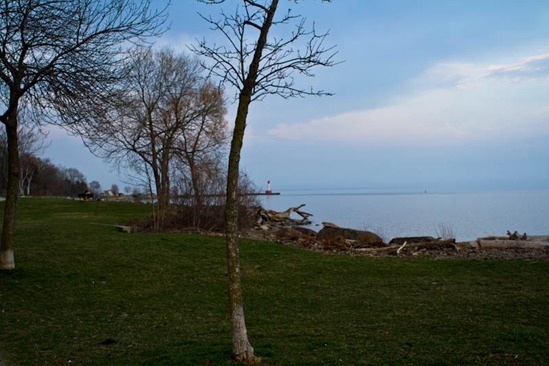 I’m from Oakville, you will love living there! I know your running route along the lakeshore well. There is a raw restaurant Nzyme downtown, I haven’t tried it yet myself but have been meaning too. I think it’s the only vegan restaurant in town. We love shopping at Whole Foods. We’ve also loved the gourmet pizza (with Daiya!) at Il Fornello’s. Thanks for all the great recipes. Best wishes for a smooth move in your new home! Thank you, nice to meet you. :) About the restaurant, my friend and I went to visit yesterday and found out that they closed down. They left a message on their facebook page end of January, but nothing else is on their website at all. Bummer! Thanks for the tip about Il Fornello’s! Oh that’s too bad! I never got to eat there. That’s for replying. We ate at Live Organic Food Bar (Toronto) last week and it rekindled my love of raw vegan food…. but I wish there were more vegan restaurants closer. I now live in Waterloo and we have Thrive Juice Bar which is amazing and has newly gone 100% vegan, so thank unicorn for that. If you enjoyed Live you will love Rawlicious http://www.rawlicious.ca/Rawlicious/Home.html prob my fav raw restaurant I’ve tried. I haven’t tried either yet but have them on my to try list. Kindfood in Burlington is amazing and also happens to be gluten free. Their ceasar salad is to die for! 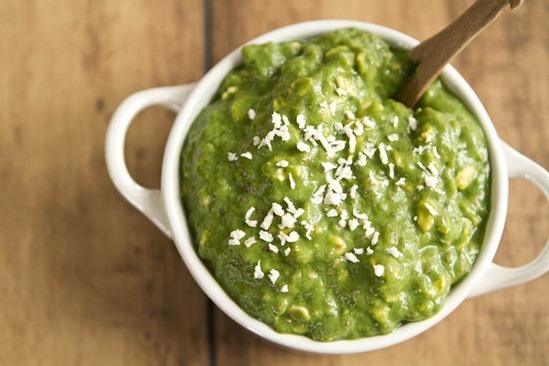 This green monster overnight oats looks intriguing! I love getting in a serving of veggies for breakfast. I also love that you don’t have to use yogurt! I hate mixing milk and yogurt..no clue why. Thank you for this recipe Angela! I am the kind of person who needs a solid breakfast…literally and figuratively, but I have always wanted to add green smoothies to my breakfast regimen. This is awesome because it combines the best of the two! It also works great for me because I like to have my breakfast already made in the morning so that I can grab and go. I like to work out in the am, which means I usually end up eating breakfast at work. Since the prep is done the night before, I can stick it in a tupperware container and enjoy a healthy meal once I get to work! Do you think it would also work to add in other things like nut butter, other fruit, and/or protein powder in the smoothie as well? Those stairs look intense, buns of steel coming your way hehe. Golly…That looks like the best area ever! I think it is so stunning and what a motivator to be in such a beautiful area for outside workouts. That oatmeal also looks stunning! Must try that soon. Also, saw your Vegan Brownies over at Daily BI#@ch. Good for you! Those I also need to try soon. :) ha! Green monster overnight oats are such a good idea! It makes perfect sense because green monsters are so creamy and thick that I am sure they plump up the oats perfectly! And I LOVE doing stairs to get in some cardio! So fun! I will be in your neck of the woods this weekend! Driving up on Sunday from Buffalo for one of my few Whole Foods trips a year! SO excited! Wooow, your new neighbourhood looks so beautiful!! What a great area to run in. I looove those Vega bars, especially the vibrance ones! And thank you for this green monster oats idea! I’ve been back into my oatmeal lately, as it’s hard to drink smoothies when I’m so cold all the time :P So I’m going to give this a try! hah I can imagine the “stir” it caused…I used to get that at work too. Enjoy! I live in Oakville, run downtown and midtown and am interested in details of your running group plans. It looks so beautiful! So charming and picturesque! And that breakfast looks tasty and healthy! I’m glad to know you liked the Vibrancy bar, because I didn’t like the other one either and have steered clear of Vega bars ever since. What a nice place to run! I live in the country and I have to go quite aways before I get to any new & exciting scenery which can become a little boring! Good luck with the running. I’m currently healing, but I hope to get back at it again soon! I LOVE green monsters! Although, I have had combinations that were absolutely not good. I didn’t think it was possible, but apparently so! Thank goodness they are very rare. I would be interested in your running group for sure! Such a great idea! Add my name to your running list. When do you think you will start with running/training? I am doing Around the bay this weekend so I won’t be able to join you in the next few days. But after that, count me in. Gorgeous views! Such a good idea for overnight oats. I’ve been all over the green monsters lately…so refreshing :) Good luck with all your upcoming races! Those pictures just made me miss home (I grew up in Oakville)! I’d been wondering where about’s in town you were, but I can guess the general area now – I used to love walking around those parts of town! 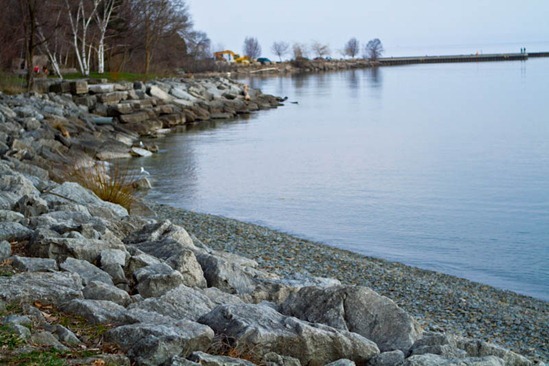 I often run along Lakeshore in Oakville and would love to participate in a running group! Can you please add me to the list? i’m still on the mend from a c-section and haven’t been cleared for exercise yet…but i LOVE going up and down our stairs as a sneaky way to get in some movement! 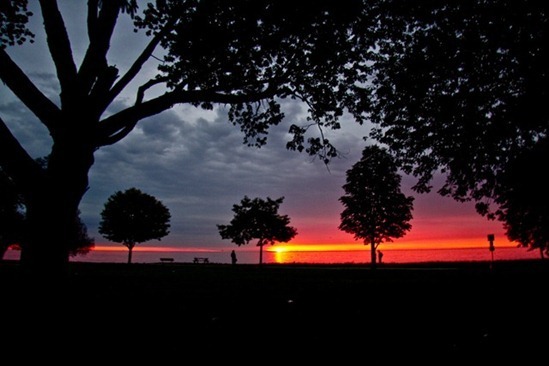 Your beautiful pics of the Lakeshore reminded me of all the fantastic runs Ive had down there! Just wait until summer, it gets even better. It’s one of the things I miss most about living in Oakville… and of course the Whole Foods. lol. One day it will come to Calgary… one day. Also amazing, a green monster poured over a bowl of cereal. SOGOOD. What a beautiful place to run/walk. Must be nice in springtime weather! Just finishes a green monster while reading this, ill try it in oats next time. Good for you for getting right back into it! Oakville is lovely. Enjoy it! 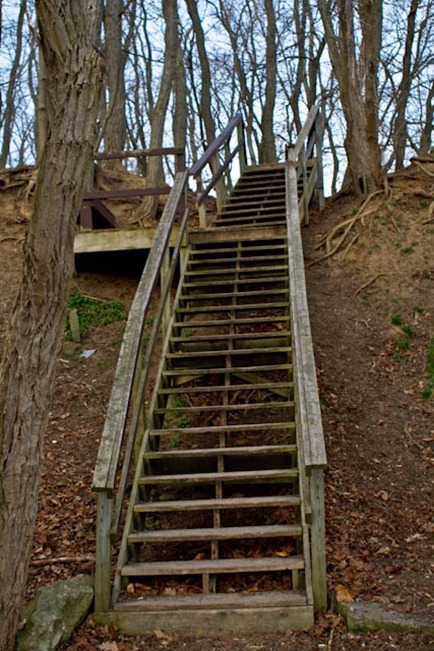 I grew up in Hamilton and I liked to go up and down the escarpment stairs. Miss that! 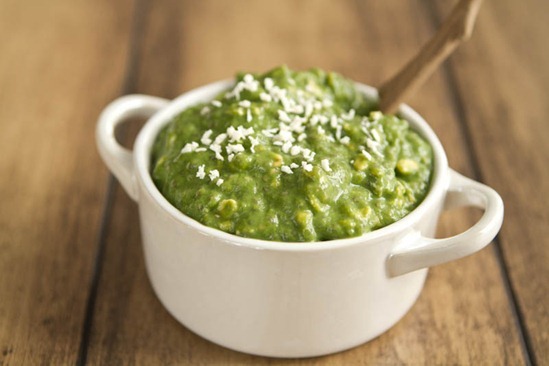 Green monster overnight oats sound so good….plus you get some veggies in at breakfast too! Good luck training for your races! I’m looking forward to racing this spring as well! Green Monster smoothies are the best!! I just made the green monster oatmeal you posted as my after dinner snack! :D It was sooo good! I made it hot though; I blended up the smoothie with extra liquid and used that to cook the oats in. Then I added natural PB, maple syrup, raisins, cinnamon and cocnut. It was delicious, and the chia seeds really added to the texture! Thanks for the lovely recipe! Looks like a fabulous path! Wish it wasn’t rainy all day today and I could have gotten out for a run. There is no better way to take a break from packing and explore a new city than a run. I’ve never thought to try green oats. I have just enough spinach to give it a go tomorrow morning. Hoping the rain stops long enough for me to run! I’ve made GM’s the night before and sometimes find that they taste rather “grassy” the next morning. Have you ever had that problem? I think I want to move to where you live. So pretty! You moved to a beautiful place! So jealous!!!! Amazing blog and website! I am constantly recommending it to people. Best vegan source around! Thank you Brolin! I appreciate that. Wow – that trail looks like a sweet place to run, really beautiful! And that sunset picture is awesome! Have you ever had overnight oats heated up in the morning? I don’t like cold breakfasts… I am wondering if it would just taste like cooked spinach if I heated it up a bit?? This recipe basically made my morning. I’ve been doing some version of over-night oats for about a week now (the perfect way to start my day), but like you, I never thought of making a green version of them. This week I’ll start playing around and being more outgoing with my oat recipes. Thanks! Glad to hear that, let me know what you think! So cool to see pictures of home—all places I recognise and grew up around! If only I knew I would be going home for the summer, you could definitely count me into the running group. Ah well. I hope to know soon. I need to get myself into these green monster overnight oats! I already love green monsters and overnight oats — it seems like a pretty much perfect marriage! The color is a bit shocking though…I wonder what my roommates would make of it! I think the next addition to the green monster family should be a green monster oat BAKE! Angela, I don’t know if anyone’s told you this, but I THINK YOU ARE A FOOD GENIUS! overnight oats+ green monster? I am SO excited to make that in my dorm room! I’m a fan of stairs too. Even if the escalator is the only option I will walk down the escalator instead of ridding it. Beautiful lake view. I guess I should use the beach in my area more often to run on. I guess you get used to your surroundings and forget how beautiful they can be. That looks like such a gorgeous running route, jealous! I’m glad to hear that the vibrancy bar was good, I tried the whole food bar too and didn’t like it all. The good thing is that it has mung beans in it, the bad part is that. . .it tastes like it has mung beans in it, haha. yea maybe that’s what I was tasting? Love those stairs – a few weeks on those will get you in shape quick! :) Best of luck with getting back into running and mastering those stairs!! Love it – I’ll stay tuned for your progress…I’ve just started checking into your blog recently now that I’ve got all my bookmarks organized :) I’ll be stopping by more often – so many great blogs so little time! Angela, you have inspired me to try my first taste of VOO! I made them plain the first time – just the oats, chia, almond milk and a squirt of agave. Delish! I see many other flavors and parfaits in my future. I think I can even get my daughters to try them – now that would be a breakfast I would love to start their day with! Wow! The best of both worlds – I can’t wait to try this! The VOO do look fantastic! I love how green they are. Could you use steel-cut oats instead of rolled oats? I’m not sure Allison, I don’t think they would get as creamy and soft? might be worth a shot! i have to agree with the other bloggers, the scenery is breathtaking! since I’m a student, I can definitely relate to the sedentary lifestyle. i actually enjoy using the stairs as well, I take advantage of them any time that I can-somehow I feel more energized just from the small incline. also, those oats look are no joke- that’s what I call a breakfast of champions! Green Monser Vegan OverNight Oats are amazing. I have been looking for ways to incorporate veggies in the AM, I have found my answer. Love Love Love Love Love, made them last night and am enjoying now! I’m a bit scared to try the Green Monster VOO, but it’s true – you were totally right about the smoothie so I have to trust you. I’ve converted so many people to Green Monsters from your website. Thanks again for all the inspiration! I would like to ask you: how often do you drink your vega protein milkshake? I’m afraid I’m not eating protein enough, so I’m thinking of trying some vegan protein milkshake. I probably have 3-4 smoothies a week, but I try to get most of my protein from lentils/beans/grains and tofu. Glad to hear you enjoy the blog…thank you! Hello! Long time reader, first time commenter! I live in Mississauga but close to the Oakville “border” and would love to join a running group! I just ran Hamilton’s Around the Bay 5km race this morning but definitely need more motivation to run consistently! Definitely need to try these oats! So healthy! I have been craving overnight oats but couldnt figure out how to do it Vegan Style. I am so excited to try this recipe. Congratulations on your new move, the place looks great and it will be nice to be in the town of Oakville, a great place…close to whole foods now too! That’s it, I’m convinced of it now, green food is the way forward! I love that you are so enamoured with stairs, I agree, there’s nothing like sneaking a bit of exercise in, everyone at work looks at me like I’m a bit crazy when I’m jogging up the stairs while they all walk but I love it, it keeps the blood pumping :-D.
Both the trail and your breakfast look beautiful!!! 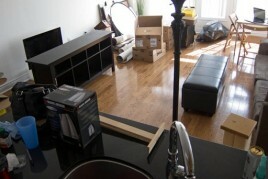 This is so crazy, I am just moving away from gorgeous Lakeshore to Milton! I think we are switching locations (I get the feeling your old house was near Milton?) Being near the lake is wonderful, and the having the GO line right there makes it so easy to go downtown, I think you’ll really enjoy it. 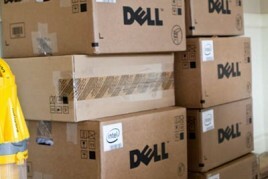 Any packing tips? This is my first big (whole apartment, not school related) move and I am not quite sure what to expect, you have lots of experience, you must have some great tips! 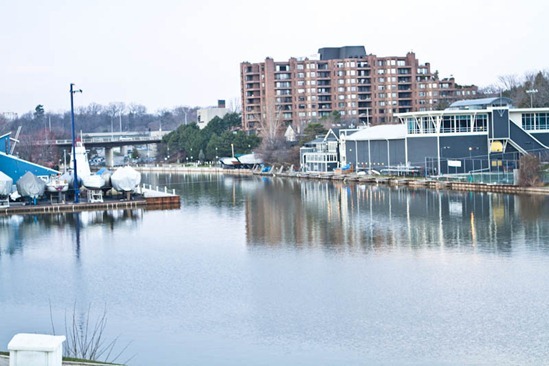 I run in Port Credit along the Lakeshore but will definitely join you in Oakville if you start a group there!! This entire post has made me miss living in Ontario SO much! I made the oats for brekky this morning, delish! I have a question about the soft serve banana in some of your other parfait overnight oat recipes. I tried it this morning….but I couldn’t get the banana to puree very well (in a food processor). I ended up adding some soy milk and was able to get it then. It was a bit of a disaster this morning, but it tasted delicious! Maybe I will wait till the weekend to attempt another parfait. I will stick to your one dish overnight oats recipes for during the week. I left the kitchen in disarray! Oops! Wow! the place is great for running Angela. The stairways are wonderful way to divert your energy to going up and down, releasing more calories. The place is lovely, thanks for sharing. Oh by the way, I think the green monster oat is deliciously healthy. gotta try this out. love this blog angela! thanks so much for all the awesome recipes. i am inspired! 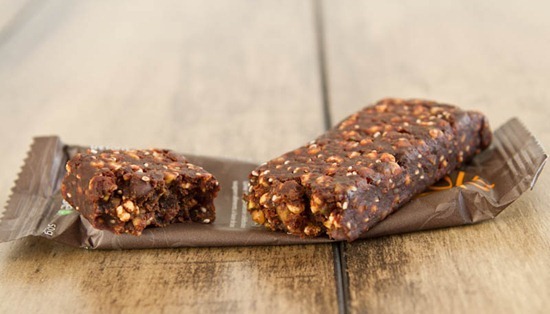 just wanted to say that if you like those vega bars even a little bit, you will loooove the vega sport chocolate coconut protein bars! seriously amazing and my go-to before runs. you must try if you haven’t already. I cant wait to try them!! I’d love to join you guys on a run as well! I’m in Burlington, but sometimes make the trek into Oakville to run with a friend. Let me know if you get something organized. I have never tried a green monster (not really a smoothie person), but for some reason the idea of green overnight oats appealed to me so I tried it! I don’t have a blender, so I used a 2 cup mini chop and blended it in two batches. I really enjoyed it and just made my second batch – this time with frozen blueberries added to the mix. Looking forward to my green and purple breakfast tomorrow :) Congratulations on your new home and cookbook plans! Your blog is one of my faves and I look forward to your posts and recipes. Angela! You are a genius! My green smoothie and my oatmeal always fight over which one I will pick for breakfast! I hadn’t thought of combining the two. Awesome idea! Your blog is inspirational! Thank you for sharing with the rest of us! Vegan now for just over 100 days! I am in love! Awww, Ang– I’m so honored to be mentioned in your post! Great minds most definitely think alike, hehe. Yay for green monster ONO, you can never get enough greens, no? :) Oddly enough banana and spinach go terribly well with oats– almost like PB&J! You just reminded me I need to whip up a bowl of green monster overnight oats– it’s been far TOO long :). Wow, what a great idea to mix and match oats with a green monster! Iv’e tried it for fun this week and I’m hooked! Sometimes I think the oats aren’t ‘green’ enough and the green monster sometimes just doesn’t fit my appetite. This combo is the best of both worlds! green oats, what’s not to like! Thanks for posting this recipe! I am on a yeast cleanse right now, so no bananas for me. (BOO!) I can’t wait to try this in a few weeks. Right now I make my own green monster using spinach, kale, almond milk, ice, chia seeds, milled flax seed, peanut butter, bee pollen, hemp powder, and oat bran. It’s tolerable. I know that fruit will make it better!! The chia seeds absorb a lot more water than flax, so I’m not sure if flax seed would work well. I think it could be too runny. So I tried your overnight oats last week – I did the Strawberry-Carob ones, since I’m a strwberry fiend… and they weren’t bad at all! Then yesterday I decided I needed some more overnight oat action, and was scrolling through your recipes to find a new flavor to try. I came across your apple pie oatmeal – not overnight oats, I know… BUT THEY COULD BE! So I’m proud to say I invented apple pie vegan overnight oats, and they were DeLISH!!! I actually preferred them to the strawberry carob one, but I’m thinking strawberry-apple pie could only be an improvement, right?! glad you enjoyed them Heather! I’ve had apple in my overnight oats before and it was fun. I love running by the lake in Oakville. Are you planning on doing the Oakville Half Marathon in September? I’m doing it. Starting to train now. 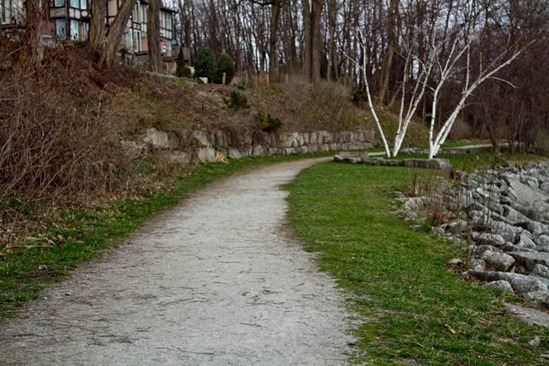 Would be interested in a running group – I’m in Oakville too – and a very beginner runner! glad to hear that Susan! I was wondering if you’ve ever used steel cut oats in over night oats? They’re pretty much all I use for hot oat meal but was curious if they’d work over night. I just made these and they are in my fridge for tomorrow’s breakfast as we speak. I’m hooked on green smoothies but have been wanting oats. This is the perfect combination. I can’t wait for breakfast tomorrow. I know it’s weird right? I just made and tried these overnight oats for the first time and they are delicious!!! I think I found my new favorite breakfast, thanks! I guess I’m a bit of a late-bloomer, as I just joined the overnight oats (I don’t know why we call it that when it’s the same thing as Muesli – but who cares what it’s called, it’s amazing) club, and since trying them for the first time about a week ago, I haven’t gone a day without them! In fact, sometimes I even turn it into, I can’t wait all night oats – I don’t even wait, just throw everything together and dig in (well, I let it sit for about 10-30 minutes if I can). If you use the quick oats instead of the old fashioned type, they get really soft really fast. I usually make mine with a mix of yogurt and almond milk. I don’t use chia as I don’t want all those calories in such a small amount of food… I’d rather increase the amount of oats and liquid to get a larger, more filling portion. I don’t find these to be very filling, probably because they lack all the water and volume that their cooked counterparts contain, but they are soooo good! I love green smoothies, so I will be trying this. I am having so much fun throwing together different oaty concoctions!! I have so many ideas that I may well dedicate an entire day to eating just overnight oats all day!! Mmmm how amazing would that be?! Do you cook the oats before you mix them with the smoothie? Or just mix the smoothie with dry oats, and then refrigerate (also: are rolled oats the same as quick oats?)? I loved the concept of overnight oats. It’s great. You just have to get up and your breakfast is already ready. How amazing it is! Moreover, a vegan diet is a very healthy option. Thanks a lot for letting us know about this yummy breakfast. I have had overnight oats before and really liked them. I thought they would be good to introduce to my boyfriend. I started with this one today. Perhaps not the best one to start with because although it tastes fine (I added cacao nips, coconut and almonds), it really doesn’t look appealing. And there something off-putting about spooning something green and thick into my mouth. I think I’ll try a different one tomorrow…lol. Angela- Is this a good alternative for someone who really likes to eat something more substantial than drink a smoothie for breakfast, but still wants the benefits of the green monsters?? I like them and want to incorporate them, but I love my mornings and eating something in the morning. Am I missing out on the benefits by not having it in smoothie form?? Thanks!- I love following your site! Hi Pam, I would suggest having one for a mid day snack as opposed to breakfast. enjoy! I have a question about the overnight oats – is it necessary to keep the banana? I’m curious because I sometimes want to use other fruits as toppings or mixed in, and don’t like to have too much sugar at once; even if it the natural kind. Hi Melissa, You can make it without, it just won’t be quite as thick and creamy. Good luck & enjoy! You are absolutely fabulous, Angela! Not only have you inspired me to stick with being vegan (despite family reunions full of meats and comments regarding my food choices), but you greatly contributed to enjoying, actually loving every single bit and bite of this choice. Your recipes are fantastic and your posts delightful. AND, what adds to it nicely is the inspiration to go back to running, in addition to my indoors workouts. All in all, I feel like I’ve met an extraordinaire person who literally made my life better. So thank you :) ! Do you think that this would work with Steal Cut Oats? Hey Angela, do you have to put the oats in the fridge or can you leave them out over night? I get cold easily and having room temperature green oats would definitely help. I would think they would need to be chilled to avoid bacteria growth? I hate running. I do it for the health benefits, but I can’t say I really enjoy it. Maybe that’s because I live in the city and don’t have the beautiful scenery you posted here. And not sure about that green monster oats creation, just too green for breakfast…I’ll probably make it, just to try it. Yum! going to try this tomorrow! 1. why is it necessary to put it in the fridge for so long? 2. leaves tend to lose their nutritious value once they are put in a blender unless a masticator type is used. How about the banana which goes brown quickly? 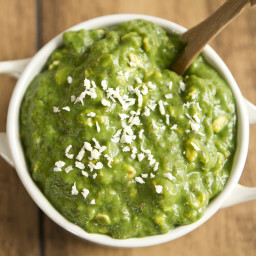 I LOVE this overnight green monster recipe and your pics too… I am a beginner so I have fallen in love with your blog. Thank you! Hello,in regards to your Green Monster Vegan Overnight OatsI was thinking that it seems it would be more nutritious to add the juiced spinach or kale right before eating. Prolonged exposure to air, the vital enzymes and nutrients in the juice begin to deteriorate and are mostly gone within twenty minutes time. And can I ask why the banana should be quite ripe? Is that for the sweetness? Will this work with a frozen banana or will the taste or texture be off? I know this was posted a long time ago, but I’ve been hearing that you need to drink the smoothie within 20 minutes to get the full benefit. Wouldn’t soaking the oats in it overnight defeat the purpose of getting all the green monster’s nutrients? 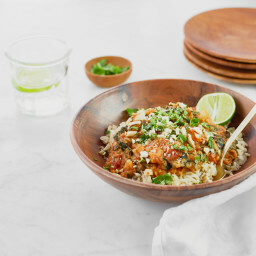 Has anyone tried making this in bulk and eating it throughout the week? I want to make this – I was wondering if I could sub Flaxseed for the Chia – if it’s a 1:1 if I do? Should I soak the flaxseed in water prior if I do? Still learning how to use Flax and Chia – at the moment I have a lot of flax – with limited cupboard space I try to use up what I have before buying something else. Hi, I used to eat overnight oat with apple only, after try this one I have to say that I really love your Green Monster recipe, it tastes so good! I added 1/4 of lemon juice for extra taste and changed the almond milk to soy-milk/skimmed milk, it’s hard to find almond milk in Jakarta, so I substitute it with soy-milk, soy-milk makes the overnight oat taste better than skimmed milk. Have you ever tried this as a hot oatmeal? If I were to just blend spinach and water and cook my oats in it, do you think it would work?